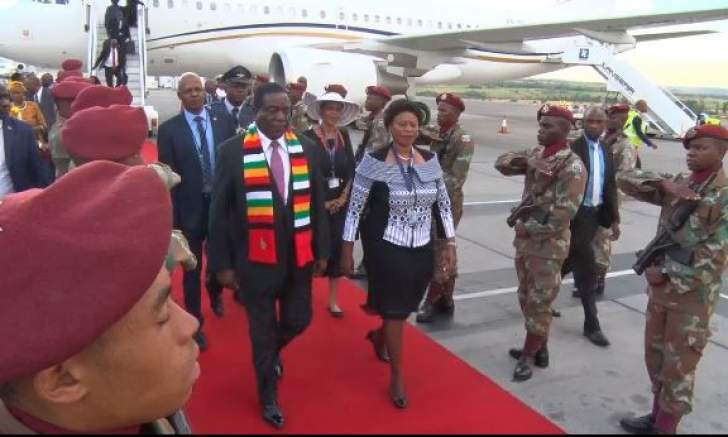 President Emmerson Mnangagwa has arrived in Pretoria South Africa to attend a SADC solidarity conference on the Saharawi Arab Democratic Republic (SADR) being hosted by South Africa. The President will join other leaders in the region who are paying respect to the just struggle of the Saharawis. The decolonisation of the African continent is incomplete until the people of western Saharawi are free. In 1975 following the withdrawal of Spain from western Saharawi – Morocco and Mauritania annexed the colony and a liberation movement by the Saharawi Polisario continued with the fight they had started in 1963 against Spain. Mauritania pulled out of the conflict in 1979 and Morocco continues with the occupation of nearly 80 percent of SADR. Zimbabwe coming from a similar background of being occupied, most Southern African states bore the pain, suffering of all people in the occupied land like western Saharawi. Many efforts have been made since the 1975s occupation by Morocco of resolving this issue. Meanwhile, President Mnangagwa left Harare this afternoon to attend the SADC solidarity conference on the Saharawi Arab Democratic Republic (SADR).